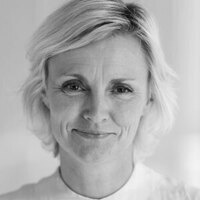 Tine Hegli is a Senior Architect at the internationally renowned architectural practice Snøhetta (http://snohetta.com/). Amongst prestigious projects she has been involved in are the Oslo Opera House, The National September 11 Memorial and Museum (Ground Zero) in New York and The King Abdulaziz Center for Knowledge and Culture in Saudi Arabia. Since 2011 Snøhetta has been a partner in the development of Powerhouse; internationally renowned pioneering work creating and constructing energy positive commercial buildings in collaboration with ZEB - Research Centre on Zero Emission Buildings run by NTNU - Norwegian University of Science and Technology. In this work Tine has been assigned as process leader coordinating multidisciplinary work in the early stage of the design development. She is also leading other ZEB pilot projects looking into how the increased focus on the energy and emission parameters will influence the planning and design of domestic architecture. Tine is on the board of ZEB and the NTNU Faculty of Architecture and Design, where she graduated in 1997. She is involved in teaching, lecturing and jury work/critics at both NTNU and the Oslo School of Architecture. As a lecturer Tine has been active in the private sector participating in national and international conferences on the topic of architecture and sustainability.